"There is an unmet clinical need for real-time, noninvasive detection of tumor response to targeted and immune checkpoint blockade treatments," says Victor Velculescu, M.D., Ph.D., co-director of cancer biology at the Johns Hopkins Kimmel Cancer Center. "Our studies suggest that tests using blood samples will change the way cancer patients will be treated by helping to evaluate therapeutic responses more quickly and accurately, and avoid unneeded toxicity or ineffective treatments. "The new studies, described in the December issues of the journal Cancer Research, showed that tracking responses to treatment by measuring ctDNA was a more accurate way of assessing tumor growth or shrinkage than traditional imaging techniques. "These results indicate the potential value of early assessment of responses to targeted therapies especially when CT imaging results are in the gray area between objective response and actual disease progression," says Alessandro Leal, M.D., a graduate student at the Kimmel Cancer Center. "Noninvasive liquid biopsies identifying tumor-specific changes provide an opportunity for widespread implementation of monitoring approaches for different cancer types in a variety of clinical settings," says Jillian Phallen, Ph.D., postdoctoral fellow at the Kimmel Cancer Center. "Conventional imaging does not always or quickly capture the unique timing and pattern of response to immunotherapy, highlighting the urgent need to develop biomarker-driven approaches such as measuring ctDNA in blood samples," Anagnostou says. 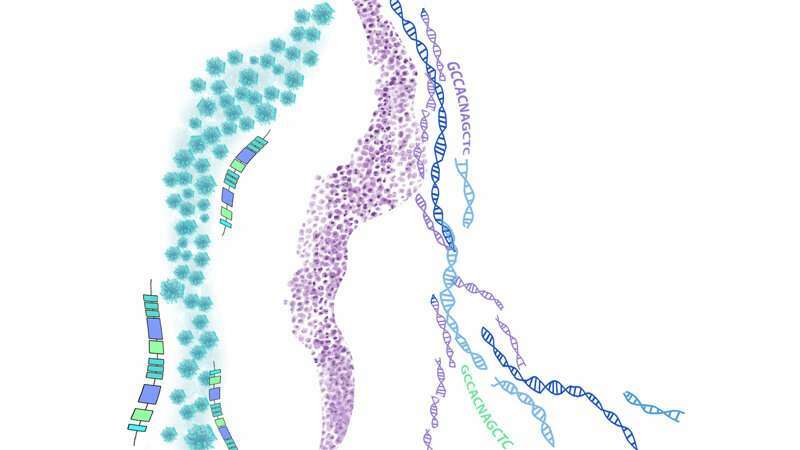 "Early detection of disease progression on immunotherapy opens a window of opportunity in which changes in liquid biopsies may allow patients with resistance to be rapidly identified and redirected to receive alternative therapies."